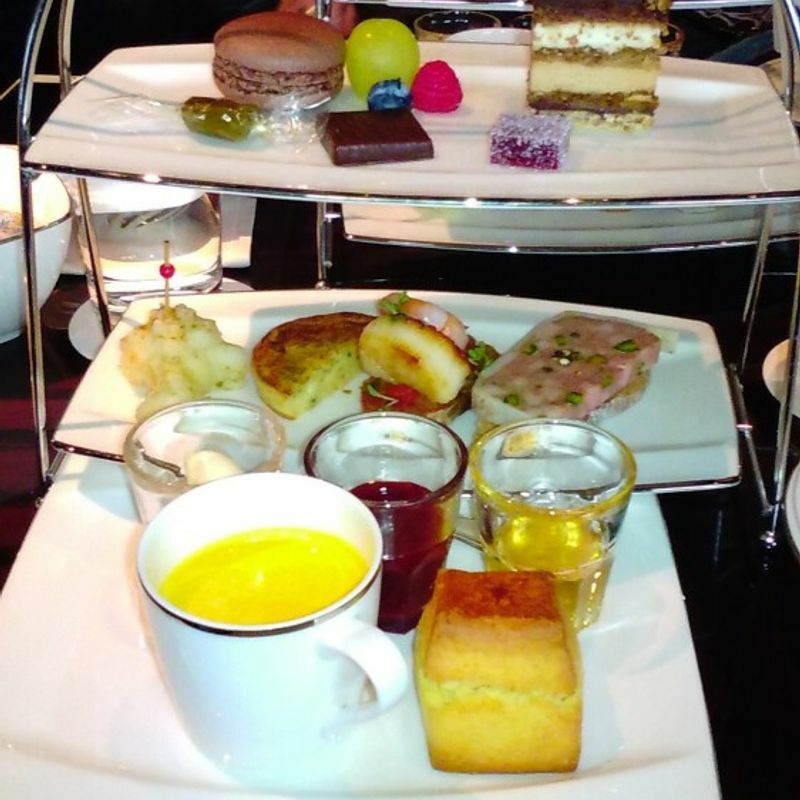 The 6th floor of the luxurious Palace Hotel offers affordable afternoon tea with a stunning view of the Imperial Palace Gardens. I recommend visiting in November to behold the resplendent trees in their Autumn foliage. 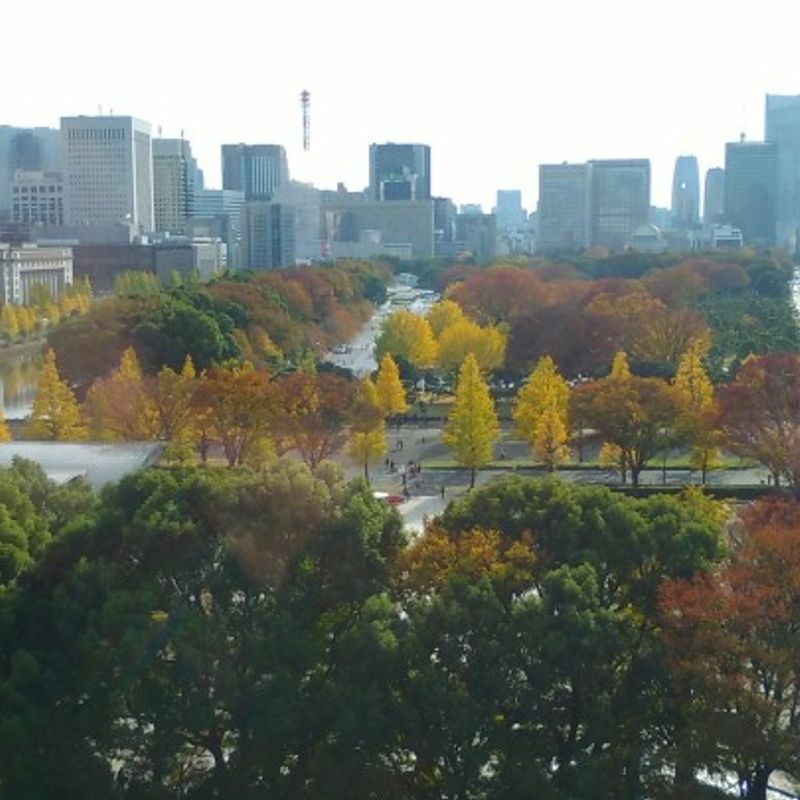 At the end of November you can witness the gingko trees in their finest yellow. 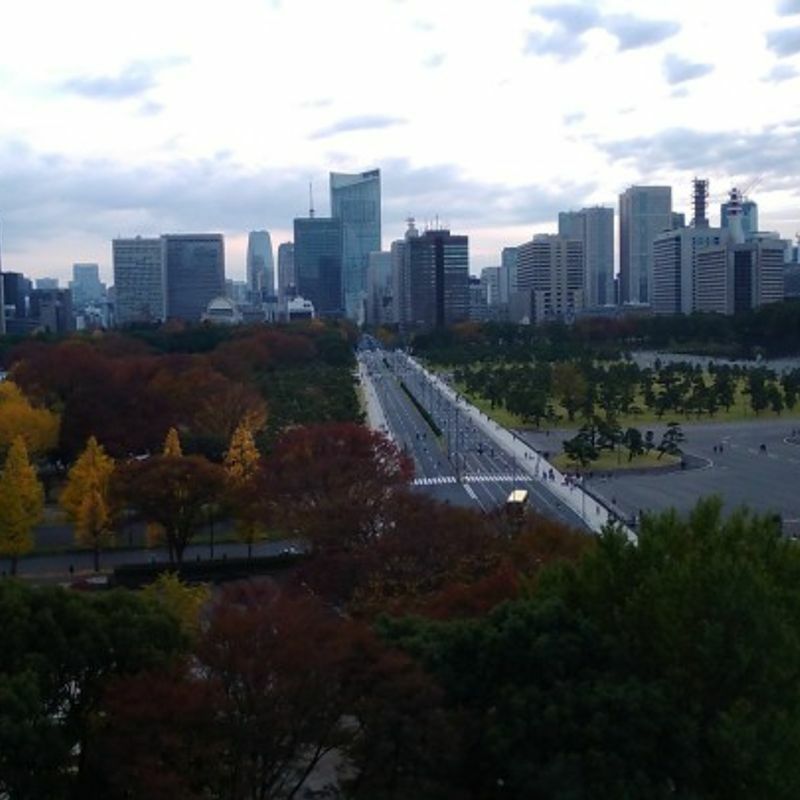 You can see the Imperial Gardens from all seats facing the window in the bar, or for a better view I recommend you step out into the open terrace smoking area. 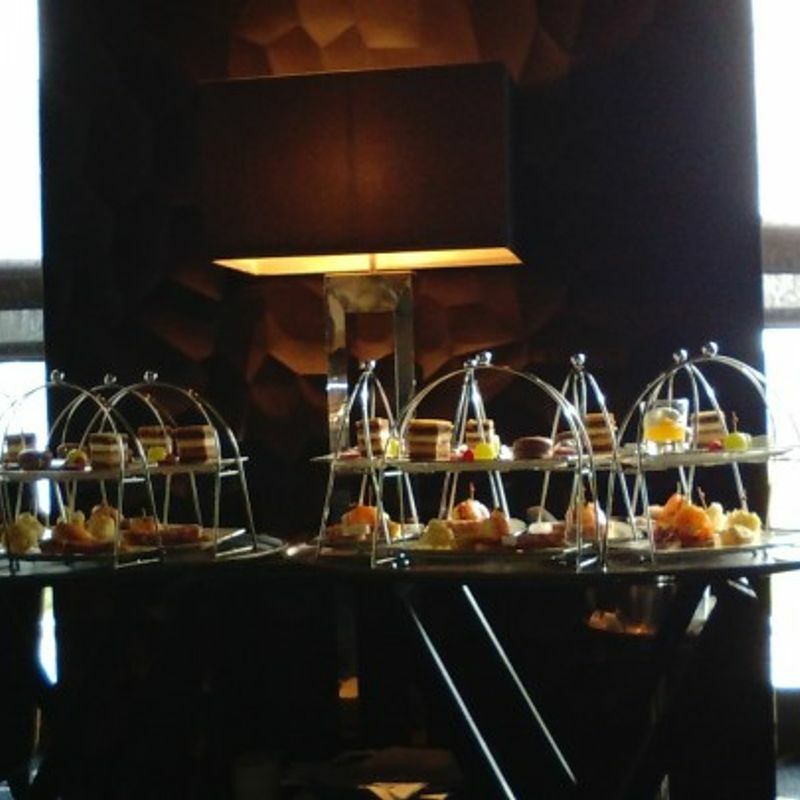 The afternoon tea is as impressive as the views from the comfortable and quiet Bar Privé. 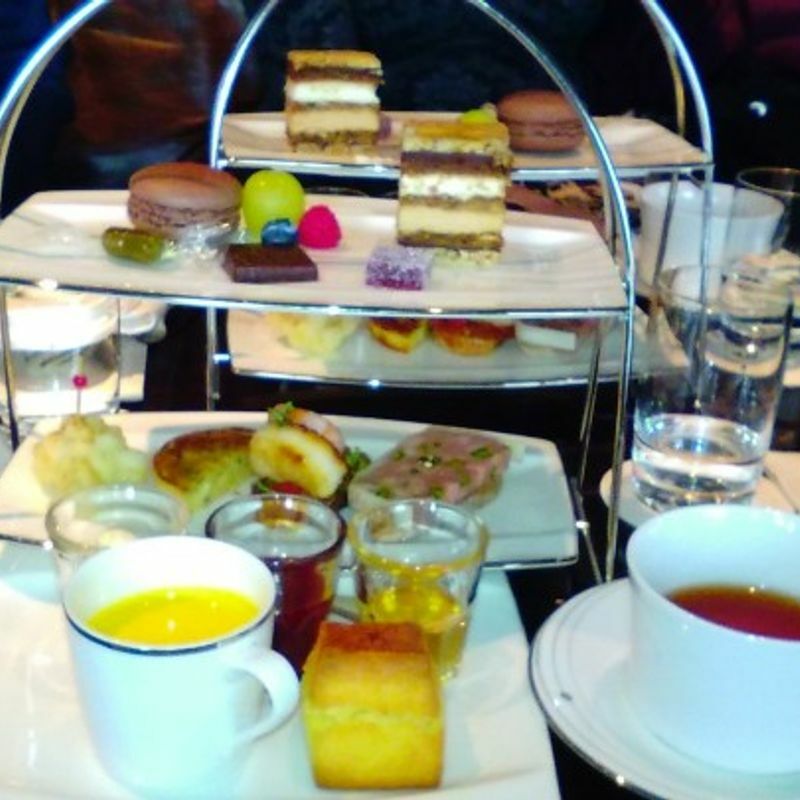 The afternoon tea is the pièce de résistance of the culinary delights on offer and surprisingly affordable, given that you are in the elegant and opulent Palace Hotel, within in a stone's throw of the Emperor's residence. It is served beautifully and it is an experience as much as it is a light meal. The staff are very welcoming and also very friendly, as were the other guests around us. The tray comes with bite size selections of sandwiches, hors d'oeuvre, soup, desserts and my personal favourite; scones. The scones are a lot better than most and you get little glasses of fillers to spread on or in the scone. The tea is fantastic and they have a huge range to choose from. 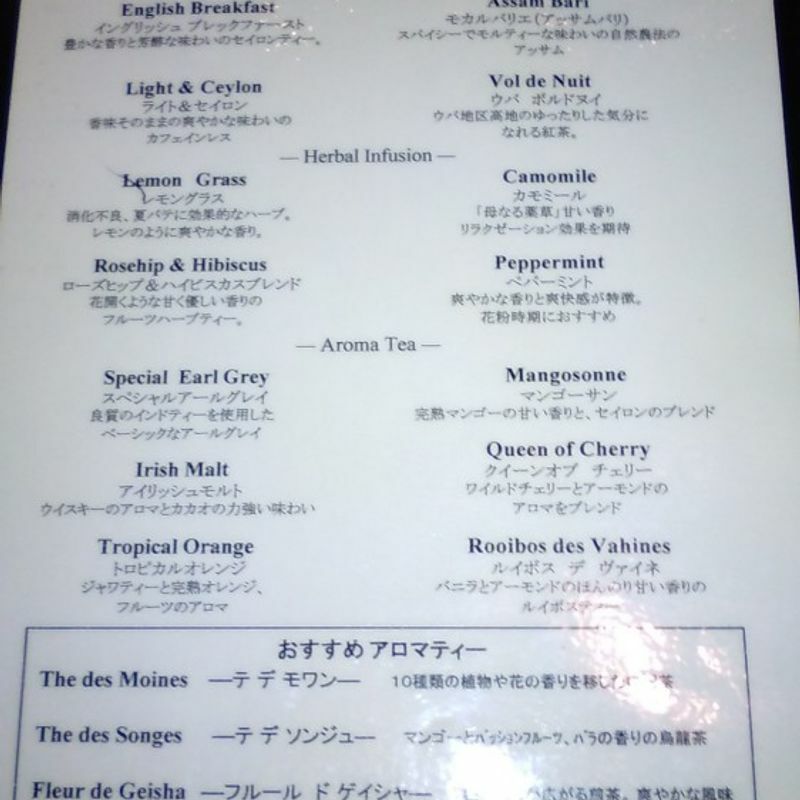 Most of us went for the Irish Malt tea not because it contains whiskey (but yes that was a factor! ), but because the 12 of us are from Ireland! They are well able to cater for groups and we were suitably impressed by the efficiency in which they served us. The website and the menus in the hotel are bilingual. The restaurant website suggests that this bar is casual, but you need to walk through the hotel lobby to get to the 6th floor and the attire is far from casual. I would say smart casual or semi-dressy is the safest bet. The opening hours are Bar Privé are 11.30 am to midnight, but the Afternoon Tea is only available from 2 to 4.30 pm. I recommend you book in advance.